Australia has become a popular destination for both locals and tourist who enjoy festivals. Australia provides a variety of festivals for all age groups. Here are the top 5. Big day out – This festival which happens in the warm summer months, happens across Australia on the Gold Coast, Sydney, Adelaide, Melbourne and Perth. This festival began in 1994 and included Nirvana, The Violet Femmes and You Am I. The lineup includes performances from rock, electronic and dance artists. International acts included the Red Hot Chili Peppers, Kanye West and Metallica. Melbourne International Comedy Festival – This is one of the largest cultural events in Australia, attendance over 600,000. The concert includes indoor and outdoor performances. The festival attracts the best comic performers from around the world. The event runs from late March to late April each year. Adelaide Fringe Festival – This festival is based on the Edinburgh Fringe Festival. Acts include cabaret, puppetry, visual art compete for attention, theatre and circus. The festival runs from February to March and has a carnival atmosphere. Bathurst 1000 V8 supercar race – The Bathurst race is a 1000KM event, which runs for 4 days. The race takes place in New South Wales on Mount Panorama. Race fans camp in the mountains a week prior to the event. 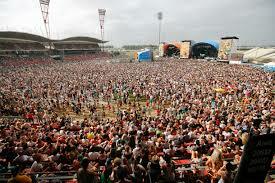 Splendour in the grass festival – This is a music festival that attracts a diverse crowd of music lovers. The festival is held in Byron Bay for 3 days. The festival is popular amongst hipster types and the majority of guests camp in the fields. Most recent event featured international acts including Mumford and Sons, Of Monsters and Men and Passion Pit, while Kanye West, Coldplay, Bloc Party, The Smashing Pumpkins and Florence and the Machine.